VIY gives young people aged 14-24 the opportunity to learn vocational trade skills, gain a qualification and improve their employability whilst volunteering to help their local community. The majority of young people who take part are typically NEET (not in employment, education or training) or pre-NEET/deemed at risk of becoming NEET. Also, more than 20% of VIY participants are female (at a time when only 1% of tradespeople in the UK are female), 45% identify as BAME (Black, Asian or Minority Ethnic) and 25% have a physical disability, learning difficulty or special education need. Young volunteers are recruited, and referred into local VIY projects, by organisations that already work with the audiences VIY aims to reach and benefit. These referral partners include Job Centre Plus, alternative education providers, youth work organisations such as Catch22, The Prince’s Trust, The Amber Foundation and YMCA, pupil referral units, local schools and colleges, and youth offending teams. Shamak, from Haringey in north London, was NEET (not in employment, education or training) prior to signing up to participate in a local VIY project, aged 17, having been referred via Job Centre Plus. 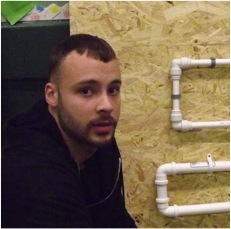 Over four weeks on the Eric Allin Centre project in Tottenham, Shamak committed more than 50 volunteer hours, at the same time as working towards and achieving Entry Level 3 City & Guilds accreditations in both plumbing and tiling. In the process, Shamak so impressed one of the local building and construction companies (Ideal Handyman) providing skills mentors on the project, they offered him a paid apprenticeship, in conjunction with the College of North East London. Shamak’s journey has also gone full circle, with him now volunteering in his spare time with VIY as a peer mentor for young people on new VIY projects across north London. Zeeshan, from Aylesbury, Buckinghamshire, was 22 and unemployed at the time he joined a VIY project to repair and improve a local drop-in centre run by Youth Concern in aid of vulnerable young people. He was attracted to the opportunity to volunteer and do something for his community at the same time as learning new vocational skills and improving his employment prospects. 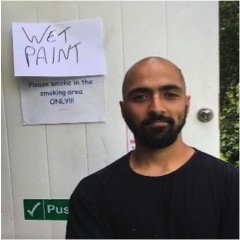 Zeeshan ultimately committed more than 50 volunteer hours to the project and successfully achieved an Entry Level 3 City & Guilds accreditation in painting and decorating. He is now targeting a starter job as a painter and decorator with the support of the local Job Centre Plus office through which he first heard about VIY.